A DR Power Grader could potentially save you a large amount of money over its lifetime if you regularly hire a machine or pay someone else when your drive needs regrading. Simply hook the DR Power Grader up to your ATV or lawn tractor and you will be able to fill potholes quickly and efficiently without shovelling or raking. 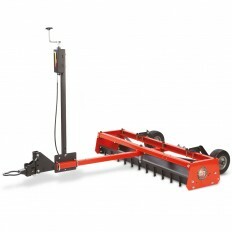 The DR Power Grader is also ideal to use in horse rings and parking areas.